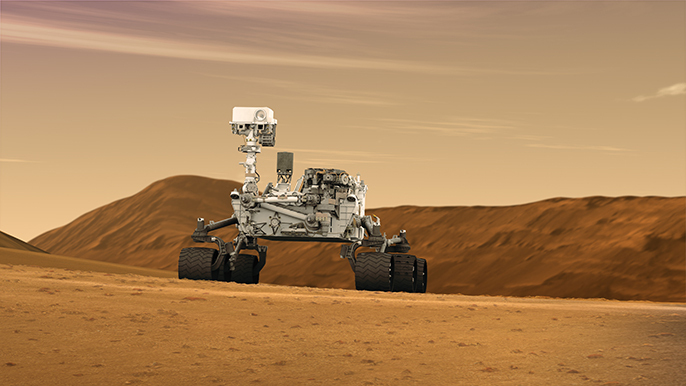 This August, the Curiosity Rover will be celebrating its second anniversary of roving around the Red Planet. And ever since it made landfall, Curiosity and the Mars Science Laboratory has repeatedly uncovered signs that Mars was once very like Earth. Basically, it has become undeniable that water once flowed freely over the surface of this barren and uninhabitable world. And this finding, much to the delight of futurists and sci-fi enthusiasts everywhere, is likely to pave the way for human settlement. Liquid water disappeared from Mars’ surface millions of years ago, leaving behind tantalizing clues about the planet’s ancient past—clues that the MSL has been deciphering for the past 22 months. This began last year when Curiosity found rounded pebbles in the Glenelg region, an indication that a stream once flowed at the site. This was followed by the discovery of rocky outcroppings where the remains of an ancient stream bed consisting of water-worn gravel that was washed down from the rim of Gale Crater. 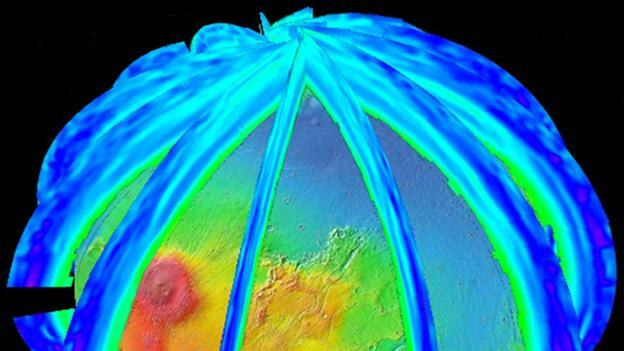 Our findings are showing that Mars is a planet that was once a whole lot like Earth. All the rocks we’ve seen on this mission are sediments that have been deposited by water. We’ve found almost no sandstone deposited by wind. Sumner is working from Curiosity mission control at NASA’s Jet Propulsion Laboratory in Pasadena while on sabbatical from UC Davis, exploring whether the planet ever had an environment capable of supporting microbial life. She is also one of several UC scientists and engineers who have been vital to the success of the Curiosity mission, which is part of NASA’s long-term plan to pave the way for sending astronauts to Mars. In that vein, research continues here on Earth to see exactly what kind of life can survive in the harsh Martian environment. 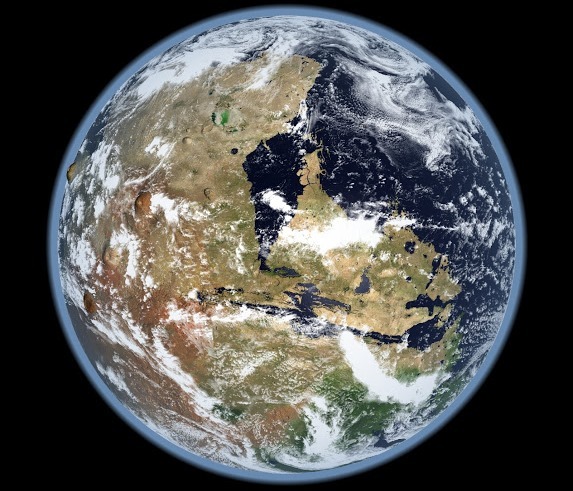 And now, research suggests that methanogens – among the simplest and oldest organisms on Earth – could survive on Mars. 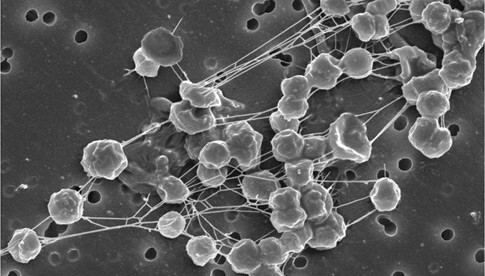 These microorganisms are typically found in swamps and marshes, where they use hydrogen as their energy source and carbon dioxide as their carbon source to produce methane (aka. natural gas). As an anaerobic bacteria, methanogens don’t require require oxygen or organic nutrients to live, and are non-photosynthetic. Hence, they would be able to exist in sub-surface environments and would therefore be ideal candidates for life on Mars. Rebecca Mickol, a doctoral student in space and planetary sciences at the University of Arkansas, subjected two species of methanogens to Martian conditions to see how they would fair on the Red Planet. The surface temperature on Mars varies widely, often ranging between minus 90 degrees Celsius and 27 degrees Celsius over one Martian day. If any life were to exist on Mars right now, it would at least have to survive that temperature range. The survival of these two methanogen species exposed to long-term freeze/thaw cycles suggests methanogens could potentially inhabit the subsurface of Mars. Mickol conducted the study with Timothy Kral, professor of biological sciences in the Arkansas Center for Space and Planetary Sciences and lead scientist on the project. She presented her work at the 2014 General Meeting of the American Society for Microbiology, which was held from May 17th to 20th in Boston. 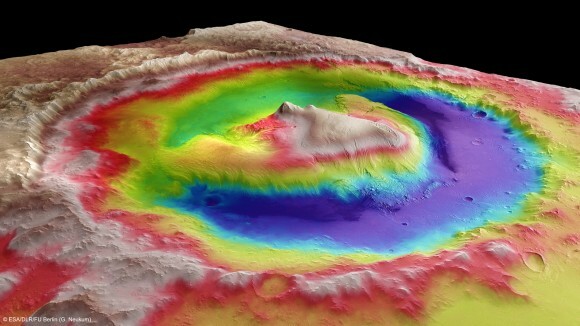 When they made that discovery, we were really excited because you ask the question ‘What’s the source of that methane?. One possibility would be methanogens. Understanding the makeup of Mars atmosphere and ecology is another major step towards ensuring that life can exist there again someday. From Red Planet, to Blue Planet, to Green Planet… it all begins with a fundamental understanding of what is currently able to withstand the Martian environment. And once this foundation is secured, our ecologists and environmental engineers can begin contemplating what it will take to create a viable atmosphere and sustainable sources of water there someday.